It's funny how some people come into your life at exactly the right time. 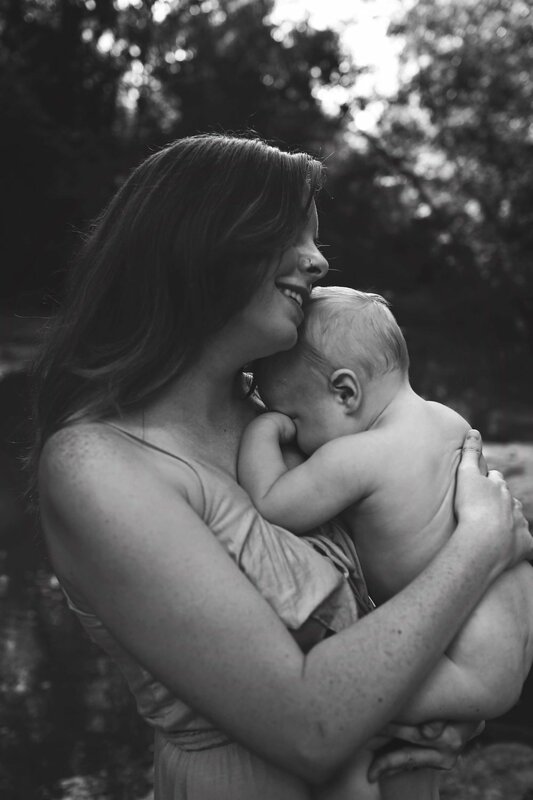 Haley is a super talented birth photographer & videographer (shoutout Blooming New Life) in Spartanburg, SC, which is about an hour and a half from me. We're in the same photography group on Facebook and, long story short, after stalking and deeply admiring one another's work, we became fast friends and have started documenting each other's family. She will be our birth photographer and has taken some amazing pictures of Nick and I that I'll share on here soon. (If you're following both of us on Facebook/ Instagram, you may have already seen a few peeks!) 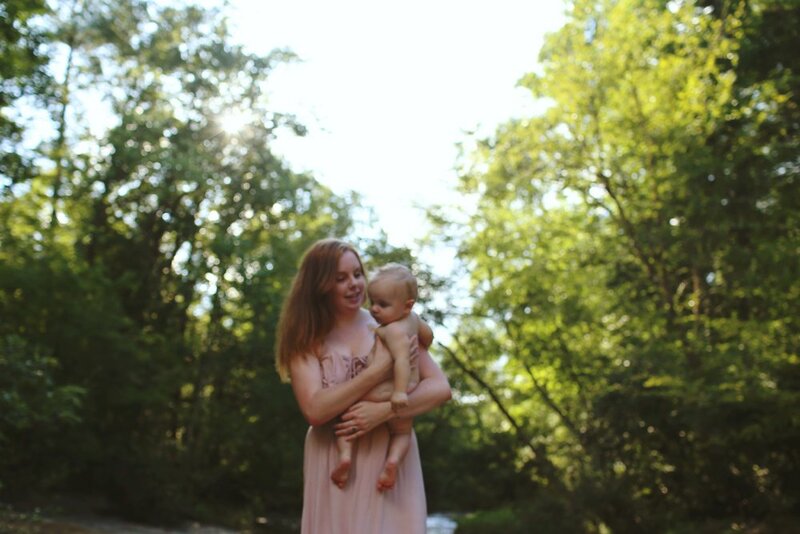 After she took our photos, I just haaad to photograph her and her baby boy in the river. He is so adorable with those rolls and big eyes and little bottom lip! On a more personal note, it's so nice to be friends with a fellow creative. Non-photographers don't know this, but there's a lot of competitive and nasty attitudes in the photographer community towards each other. It's so hard to find someone who is down to earth and realizes that we've all been given a different vision for this outlet of expression. Haley and I can stand right next to each other and photograph the same thing and it will look like two completely different photographs because we are two completely different people. I think it's amazing how God can give us the same passion for creating this type of art, but a completely different set of eyes as to what we capture. There's no need for being competitive. Support each other! Encourage each other! All artists have a deep struggle within, most of the time it's what drives us to create, so we all need that bit of encouragement sometimes to know that what we're so passionate about sharing with the world doesn't go unnoticed, but is indeed valued. Here's some of my absolute favorites of this beautiful Mama and her youngest babe.